Yusup Supardi stares at the ground. Then he lifts his face and takes a deep breath. He smiles as he tries to control his emotions. “Im sorry, but thinking about this incident makes me feel very sad”. 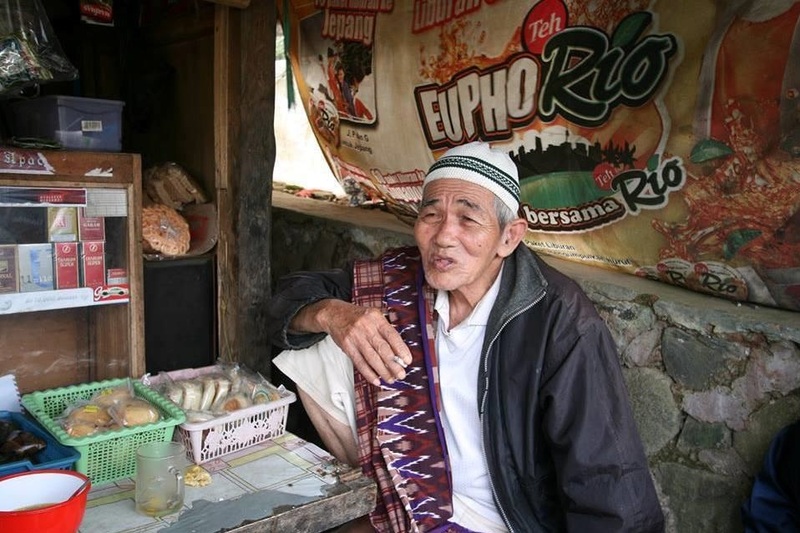 The old man, born eighty nine years ago in Sukabumi, starts telling his story. Sixty years ago Yusup was a TNI soldier, Kala Hitam Battalion, Siliwangi Division. His life back then was full of danger. Once at Gandasoli he had to jump into a cliff to avoid being captured by a Dutch army unit which already had surrounded him and at Gekbrong he almost got killed by a KNIL soldier from Sunda. “But, all these stories are nothing compared to what I saw in Takokak”. Mr. Yusup and some other soldiers got orders from their commander to verify a claim by a TNI intelligence unit that killings of Indonesians had taken place in Takokak. Traveling in a military truck from Sukabumi Yusup and his friends drove about thirty five kilometers in the direction of Takokak. The area, about seventy five kilometers from Cianjur is known for its tea plantations, hills, cliffs and forests. In the middle of the day an informant traveling together with them asked the truck driver to stop at the tea plantation area called Kampoong Ciwangi. 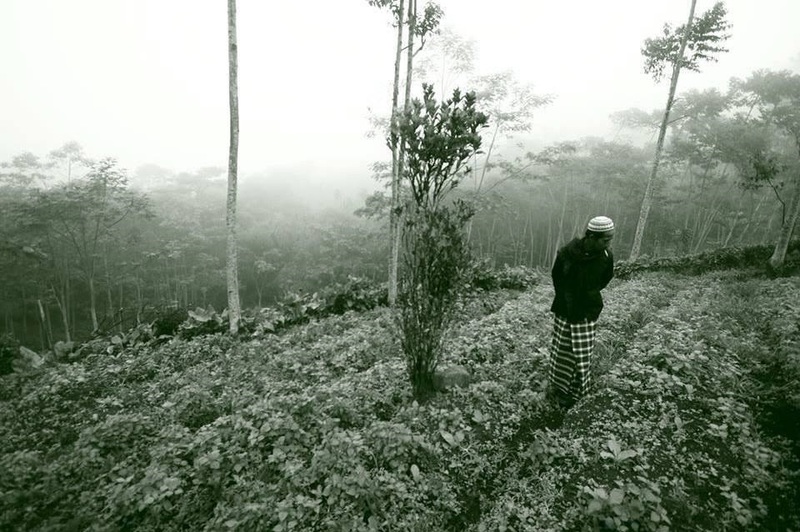 They jumped out of the truck and walked into the tea forest. Some twenty meters from the main road they noticed a terrible smell as they reached a ditch separating two tea gardens from each other. Moments later they watched a horrible sight. Five human bodies lie rotting in the ditch, each of them still with their hands tied with pineapple leaves behind their backs. “It was sad to watch the bullet holes in the back of their heads – I’m sure they were killed by a shot in the mouth”. Just a few days earlier Andin Soebandi was selling buras (food made from rice) at Bunga Melur. In the middle of the day he saw a truck with Dutch soldiers approaching, most probably coming from the Dutch military post located nearby. “through the open window I saw a lot of people under the cover of the back of the truck”, says Mr. Andin. The truck stopped and two KNIL soldiers walked towards him. They positioned themselves in an intimidating way in front of Andin and started to ask questions in Sundanese. “COME ON!!! Or maybe you want to be like them? ?“ One of the soldiers threatened him while pointing at the men in the back of the truck. -“Yes Tuan…..you can have it, just take it”. Andin was so scared. 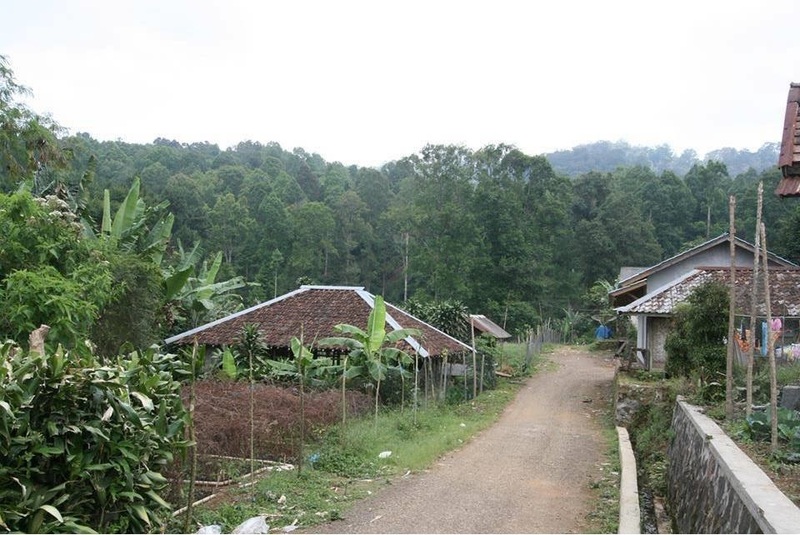 Later Andin found out those poor people had been taken to Padakati, the kampong closest to the forest. From there they were ordered to walk about three kilometers deep into the forest. At a spot called Puncak Bungah they were all executed and their bodies thrown from the cliff. The road from Padakati to Puncak Bungah where the prisoners had to walk into the forest straight to their execution spot. “We knew all of them were shot because the gunshots were heard in the nearest kampong to Puncak Bungah”, Andin says. Puncak Bungah and Ciwangi (where Yusup and his friends found 5 dead bodies) were not the only crime scenes in the Takokak area. In Pal I Cienggang, Gamblok, Cikawung and Pasirtulang also massacres took place. In Pasirtulang most probably the highest number of casualties occurred. “The human bones we found at Pasirtulang, it were so many… almost one hundred victims”, says Ukun, ex village head at Takokak. Still this remains a mystery after doing the initial research. From the interview with Yusup it must be prisoners from the Sukabumi and Cianjur area. “some of them were freedom fighters, but some not”, says Yusup. 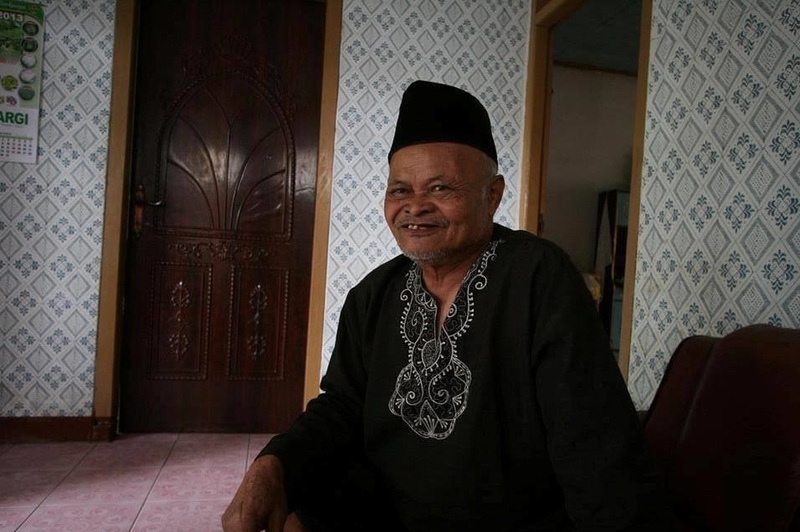 A few months after Yusup’s experience his uncle Haji Saleh told him that he saw many people gathered in front of the house of Syafei (a pro NICA village leader – Syafei at the end of the revolution was slaughtered by Indonesian freedom fighters). The group was guarded by a pro Dutch militia under leadership of a man called Ateng. 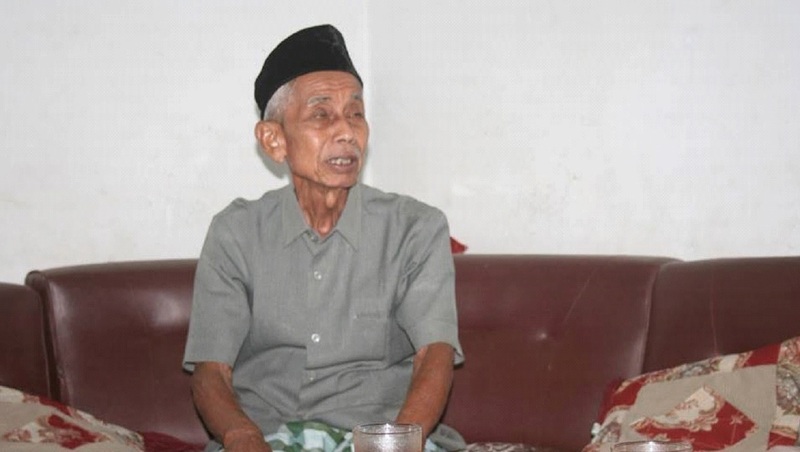 Haji Saleh was able to talk to one of the prisoners who said he was an Amil (like a Priest for Christians) living in Sagaranten, Sukabumi area. Haji Saleh asked him how he ended up in Takokak. With a sad face the man replied that he had no idea, “but maybe its my destiny to die here”. The very next day, the Amil was really executed by the Dutch at Ciwangi area. Yusup himself worked for an intelligence unit and understands very well that it is very easy to accuse people of being a ‘republican spy’. “If somebody saw you gave water or just a small amount of rice to a freedom fighter then you could already be accused of espionage”, he says. Then the arrested “spy” is taken to the IVG building (Inlichtingen- en Veiligheids-Groep = Dutch Intelligence Service) for interrogation and afterwards sent to Takokak. That was the last stage. “If sent to Takokak then we can be sure you will never return”, Yusup says. Kholid, 92 years old, is another witness. With his own eyes he saw in Padakati almost twenty people with their hands tied behind their backs and guarded by Dutch soldiers. Kholid at that time worked as part of TNI food supply and felt extremely frustrated. “Yeah, how could I not be frustrated? If I had a gun and a chance, I would kill them”, he says. A stone and a tree were put as a headstone in one of the incident areas. 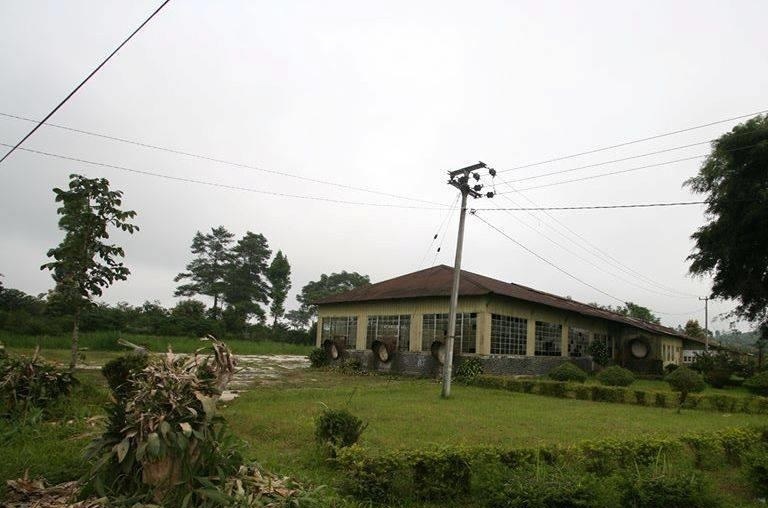 In 1985 veterans from the Siliwangi division decided to locate as many human remains as possible and move them to an area close to Pasawahan village. Takokak residents helped them with this ordeal. 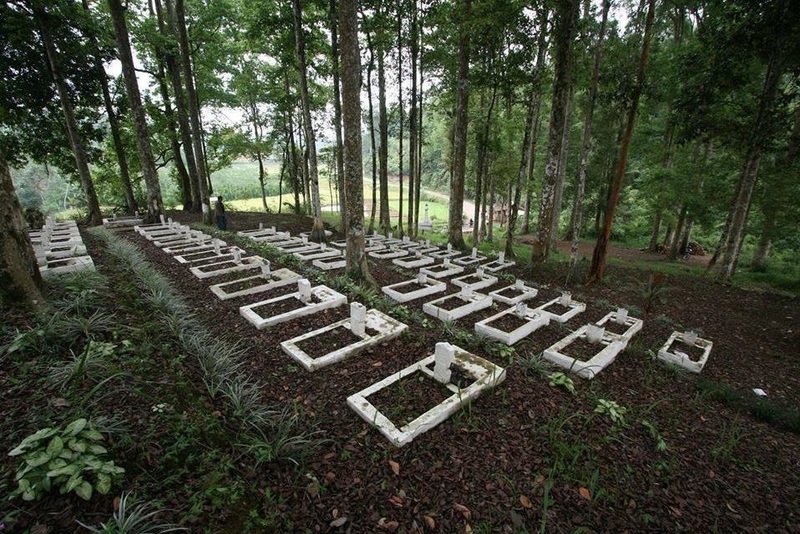 The reburial site is owned by Indonesian Forest Dienst and called Cigunung Tugu Cemetery of Heroes. Seventy one white head stones are surrounded by Rasamala trees. Unlike normal graves there are no names written on the head stones. The seventy one human remains found are only a small part of all casualties. Until today nobody knows the exact number but all of them are victims of Dutch war crimes. Guest writer Hendi Jo is an Indonesian journalist often writing about history subjects. He conducted field research in the Takokan area on behalf of dutchwarcrimes.com which findings led to this article. Part 2 will be an article describing the findings of searches in Dutch archives and attempts to find eyewitness accounts from Dutch (KNIL) veterans. Also the exact time period in which the massacres took place needs to be specified more precisely than 1948-1949. Posted on December 11, 2013 by 7mei.nl. Bookmark the permalink. ← On which Majesty’s Secret Service?